"Elena Ferrante will blow you away." "The Lost Daughter is a resounding success...It is delicate yet daring, precise yet evanescent: it hurts like a cut, and cures like balm." 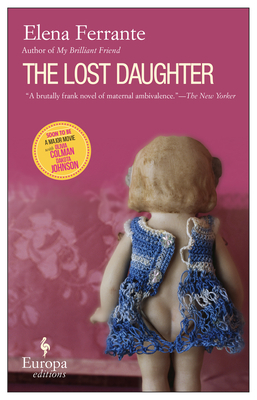 "The Lost Daughter is a novel about the female condition: the conflicts that can emerge in the sphere of marriage, the extinction of love and passion, the difficult relationships with children, which both obstruct and assist the free expression of one's feelings and the growth towards maturity." "Ferrante can do a woman's interior dialogue like no one else, with a ferocity that is shockingly honest, unnervingly blunt." "Ferrante has blown the lid off tempestuous parent-child relations." "So refined, almost translucent, that it seems about to float away. In the end this piercing novel is not so easily dislodged from the memory." "Ferrante's prose is stunningly candid, direct and unforgettable. From simple elements, she builds a powerful tale of hope and regret."